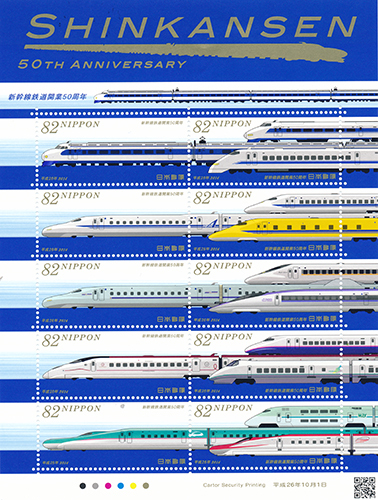 There's a lot of national pride in the continued development of Shinkansen trains and routes. Not long before I visited, they had opened a Hokuriku route, which has made Kanazawa, a formerly backwater town, a major destination. A route to Hokkaido is in the works. 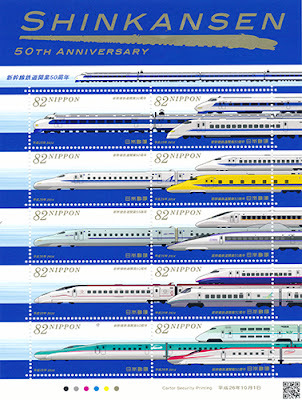 The rides are priced nearly as much as airlines tickets, which means, like airlines, JR has to offer discounts. They come in various forms such as sales of tickets through third party discount ticket brokers, block sales to businesses and travel agencies and rail passes for foreigners. The trains are filled to capacity during the holidays and rush hour, but at off-peak hours there are plenty of empty seats. Regardless of the economics, it's a marvel to travel like the wind on one of these trains. This sheet was issued in 2014. On my recent trip to Japan I paid a visit to the Kitte Building across from the Tokyo train station. This used to be the main post office before privatization took over. Now it's a fancy office building with a small post office on the ground floor. But what a post office it is! In December the place was filled with customers picking out New Year cards and stamps. One of the positives of privatization is the proliferation of beautiful stamps and mailing items. 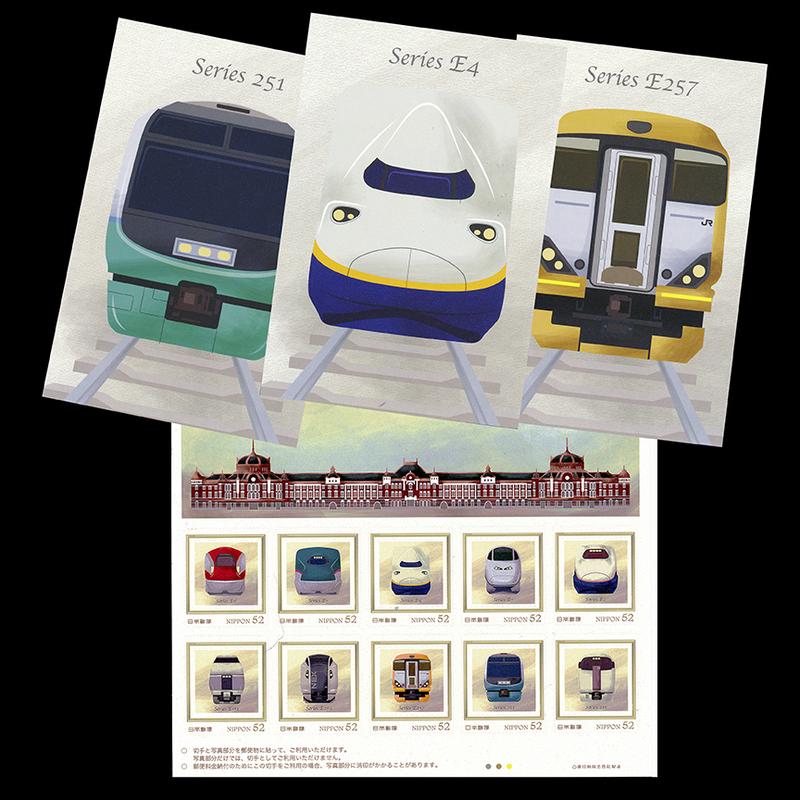 And at this location, a large selection of stamps is available, along with gotochi cards, postcards, postal-themed stickers and folders, among other things. 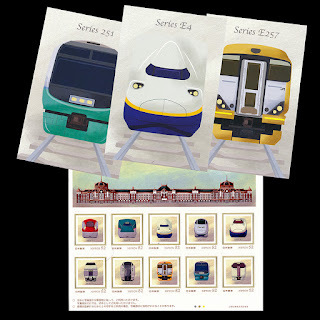 This collection of full frontal train imagery captured my attention.The postcards are paired with stamps for a Maxicard effect.